We use the very best Qualatex balloons for all our décor which means you can be assured that our displays will be consistent in colour and, size, shape and reliability. With their huge range of complimenting balloons the designs we can provide are limitless. Seasons are members of the Qualatex Balloon Network (QBN®), a professional organization dedicated to the pursuit of excellence in balloon decor and bouquets. As QBN members, businesses commit to sound business practices, continuing education, and the belief that balloons create atmosphere and communicate emotion in a uniquely effective way. “We believe that the high quality of the products we sell, and the professionalism in the services we offer, provide superior value to our customers,”, the QBN supports balloon retailers through education. Education offered through the QBN focuses on all aspects of the professional balloon industry, including balloon arrangements, and decor for social expression, parties, and special events. QBN also serves as an international resource of ideas and solutions for its members. 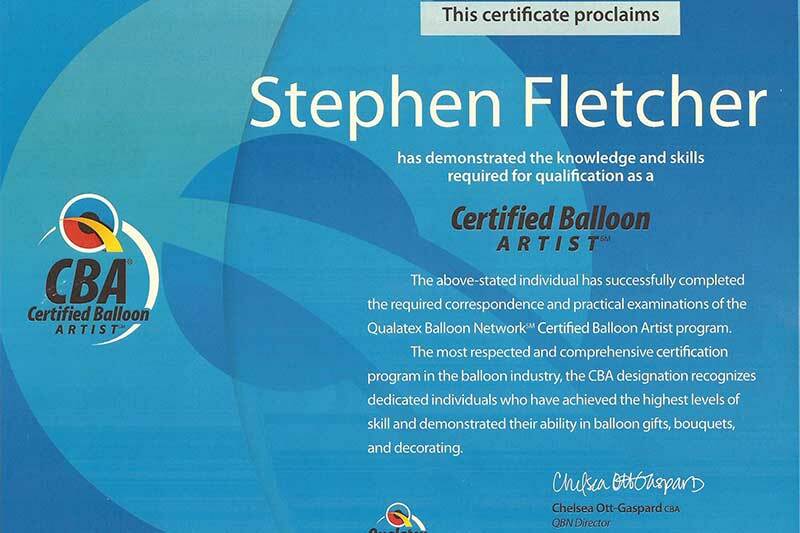 Steve Fletcher is a Certified Balloon Artist (CBA®) a C.B.A. balloon professional who successfully completed a series of tests, including oral and practical examinations. 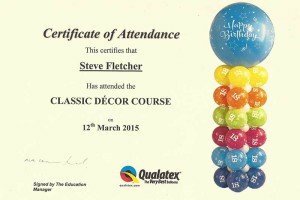 The certification was administered by the Qualatex Balloon NetworkSM a professional organization dedicated to the pursuit of excellence in balloon decor and bouquets. 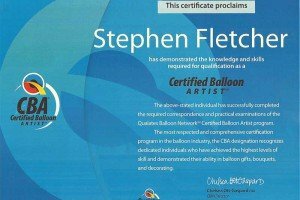 There are currently more than 2,000 Certified Balloon Artist professionals worldwide. Demonstrate their understanding of design theories, delivery and techniques, through a presentation to a panel of industry leaders. Participants in the CBA Practical Exams are graded according to their knowledge of theory as well as the application of key design elements. In preparation for the CBA exams, Steve was required to study a series of educational DVDs and written materials produced by Pioneer® Balloon Company, manufacturer of Qualatex® brand balloons . 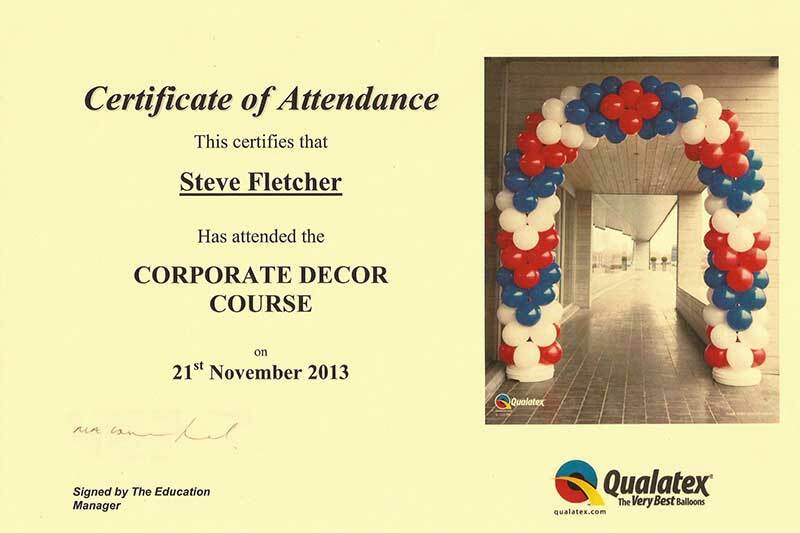 Despite achieving CBA status Steve has continued attending various courses held by Qualatex including Classic Décor and Corporate Décor courses. We are always looking to add new skills to our portfolio.